This paper presents a systematic approach to quantify the uncertainties that influences directly the design of a Piezoelectric Vibration Absorber applied to shell structures with arbitrary shape, normally employed in automotive body structures. Sensitivity and spectral analyses are performed to study the impact of randomness in the optimal piezoelectric patch implementation in automotive structures. The randomness arising from the manufacturing process of the mechanical structure, such as stamping spring back effects, as well as in the boundary conditions, is considered in the analyses, likewise the effects of variability during the positioning process for piezoelectric patches. 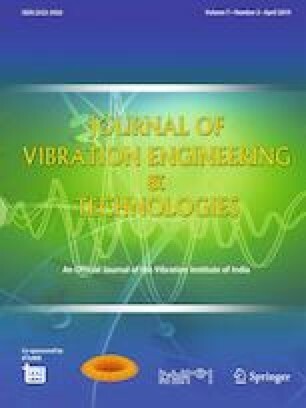 The effects of the inherent uncertainties in the dynamic behavior of the mechanical structure, the optimal electromechanical coupling coefficient and the piezoelectric vibration absorber attenuation are presented. The present paper has the advantage of indicating the loss in the vibration attenuation when Piezoelectric Vibration Absorbers are used in arbitrary shape structures, such as automotive hoods, fenders and doors. The Dynamic Vibration Absorber deterministically optimized provides an attenuation of approximately 18 dB in the theoretical model. However, losses of 5 dB in the attenuation can be obtained when the uncertainties are taken into account, and can reach up to 10 dB when the temperature effects are involved, representing more than 50% loss in attenuation for real applications, such as automotive body structures. The research presented in this paper is funded by the Brazilian research funding agency CAPES/PROBRAL 385-11 (Coordenação de Aperfeiçoamento de Pessoal de Nível Superior) and the German federal State of Hessen [project “LOEWE Zentrum AdRIA: Adaptronik-Research, Innovation, Application”, Grant III L 4-518/14004(2008)]. This financial support is gratefully acknowledged. The authors also acknowledge the MCT/CNPq/FAPEMIG National Institute of Science and Technology on Smart Structures in Engineering, Grant no. 574001/2008-5, for the financial support received during this work. The authors also would like to thank Tobias Melz, Luiz C.S. Góes, Oliver Heuss, Torsten Bartel, Mihail Lilov and Jorge A.B. Gripp for their support during this research.